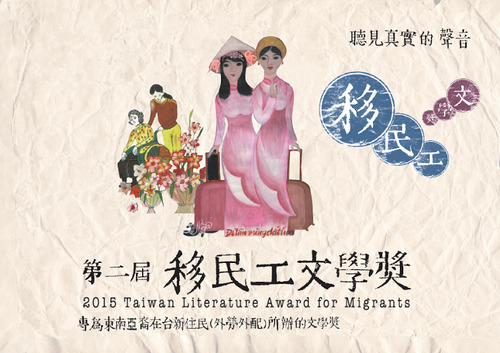 Taipei, March 1 (CNA) Competition for the second annual Taiwan Literature Award for Migrants (移民工文學獎) opened Sunday with the organizer calling for submissions. Current or former migrant workers and immigrants in Taiwan and the children of these immigrants are eligible to participate in the award competition, which recognizes the poems, songs and stories of these individuals, according to the organizers. Partly funded by the Ministry of Culture, the award is jointly organized by the Chinese Association for Foreign Spouses and Labors' Voice, the National Museum of Taiwan Literature and other groups. The organizers are accepting literary works of no more than 3,000 words in such languages as Vietnamese, Indonesian, Thai and Tagalog, which is spoken mainly in the Philippines. The winner of the top prize will receive a trophy and NT$100,000 (US$3,179) in prize money. Lee Jui-teng (李瑞騰), a professor in National Central University's Department of Chinese Literature, said the literature of migrant workers and immigrants has often been characterized by blood and tears, citing the poetry carved by immigrants on barrack walls on United States' Angel Island in the first half of the 20th century. Lee, who will serve as a judge for the award, said he hopes the literature of migrant workers and immigrants in Taiwan can become cherished assets of Taiwanese literature. At a time when Taiwanese people are finding their identities and calling themselves the most civilized people in the Chinese world, the existence of migrant worker and immigrant literature "is the best demon-detector for all of us," said local writer Chu Tien-hsin (朱天心), another of the award judges. Their stories will reveal if Taiwanese people are really the generous, open-minded, warm and curious people they describe themselves to be, she said. In a video shown at the press conference announcing the launch of the competition on Sunday, Indonesian Erin Sumarsini, said she loves to read and write when she feels bored from work. "When I am writing, I feel free," said the Indonesian, who has worked as a caregiver in Taiwan since 2012 and was one of the award winners last year. Those interested in the award can apply at the award's official website: http://2014tlam-tw.blogspot.tw/ and submit their works online before the end of May. 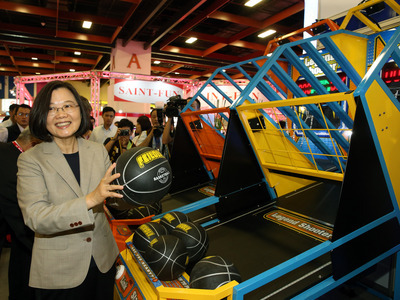 There are currently over 550,000 migrant workers and 200,000 immigrants in Taiwan from Southeast Asia.